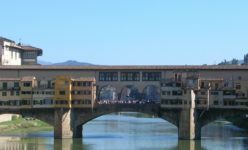 I’m a US anthropologist living and working in Italy since 2006, where I run the Florence Field School for Urban Ethnography. You can see my CV here. I traveled to the northernmost town in the world, Longyearbyen in the Svalbard Islands, for the conference Special Territorial Status and Extraterritoriality: Exceptional Sovereignties and Sovereign Exceptions, which I was invited to convene on behalf of Island Dynamics. Prof. Neyooxet Greymorning from the University of Montana joined me at Leiden University in the Netherlands to co-present our paper “Decolonizing International Relations” at the Nationalism and International Order conference.